A nice composition. The cubs are adorable! I find the lighting to be a bit flat, which is resulting in a lower contrast than I might prefer. 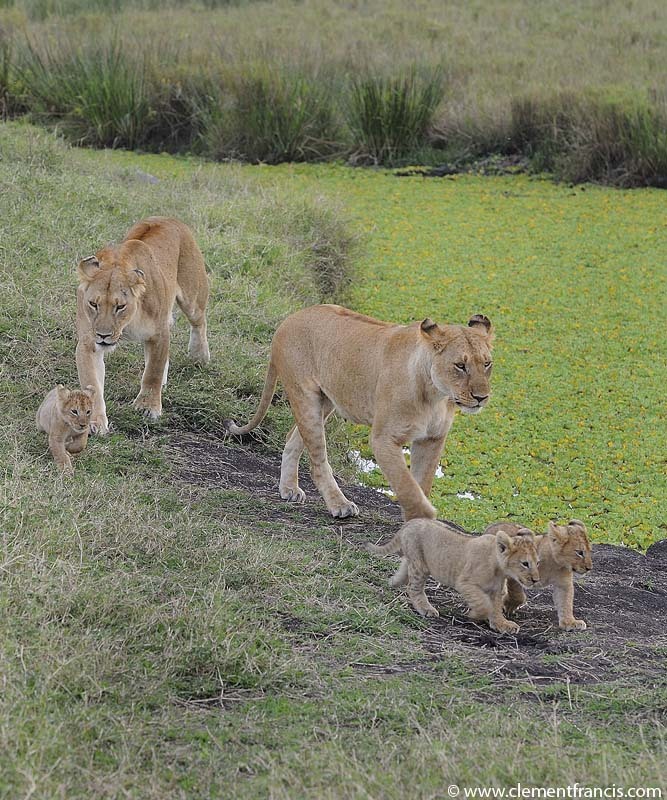 A sweet view of the pride females and young cubs on the move, Clement. I like how they flow through the frame. Well worth a click to see the detail really pop! What a wonderful sight! This is a tricky situation to photograph considering the dof required to get all the moving subjects in focus and avoid motion blur, while dealing with the undulating ground and various leading lines. You did well! Love the way they are positioned in the frame- a very pretty sight with that additional, special cuteness factor. Worth a click!